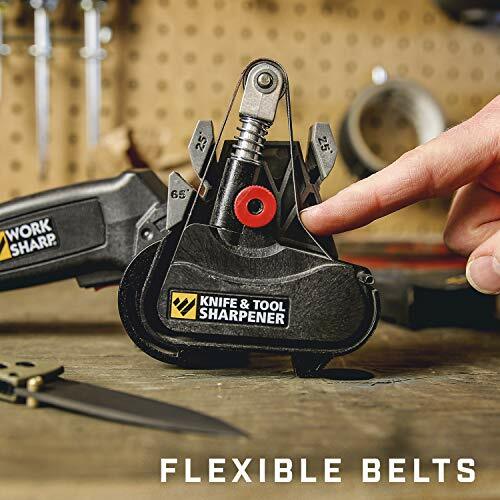 The Work Sharp Knife & Tool Sharpener is an innovative abrasive belt sharpening system. 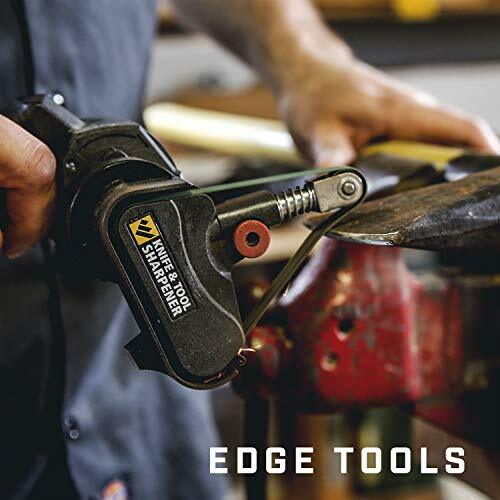 The combination of flexible premium abrasive belts and precision sharpening guides create the sharpest blades you’ve ever had with speed, ease and repeatability. The sharpening guides are purpose built for Kitchen Knives, Outdoor Knives (hunting knives, pocket knives, filet knives, etc.) as well as scissors and serrated knives. 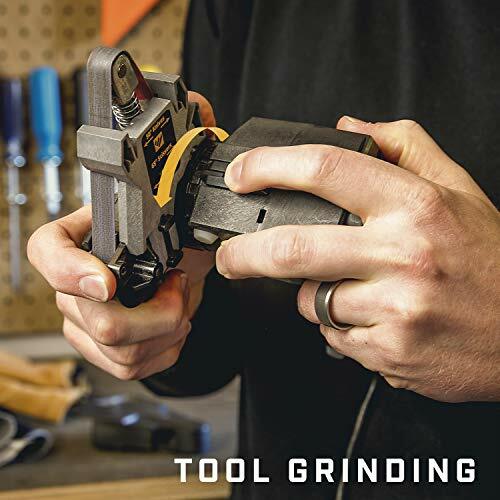 This tool can also be used for many other sharpening tasks such as garden pruners, lawn mower blades, shovels and countless other bladed shop and garden tools. This tool is assembled and quality tested in Ashland, Oregon and has a 1 year warranty. Includes a detailed Quick Start Guide and User’s Guide. 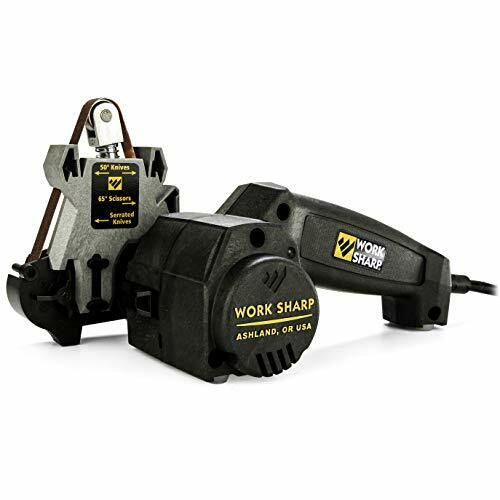 Buy Work Sharp WSKTS Knife & Tool Sharpener, Precision Sharpening Guides with Premium Abrasive Belts, Fast, Easy, Repeatable, & Consistent Results, & can Sharpen Lawn, Garden, & Bladed Shop Tools at Discounted Prices ✓ FREE DELIVERY possible on eligible purchases. Sharpen every knife you own like a pro quickly, easily and with repeatable, consistent results. Creates the sharpest blades you've ever had! 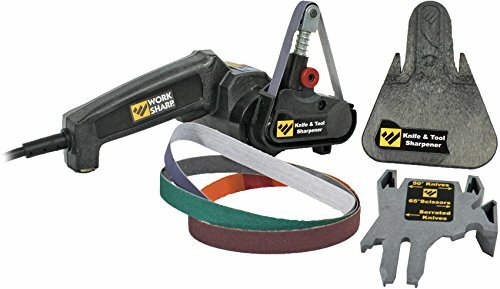 Easily Replaceable Abrasive Grit Belts. 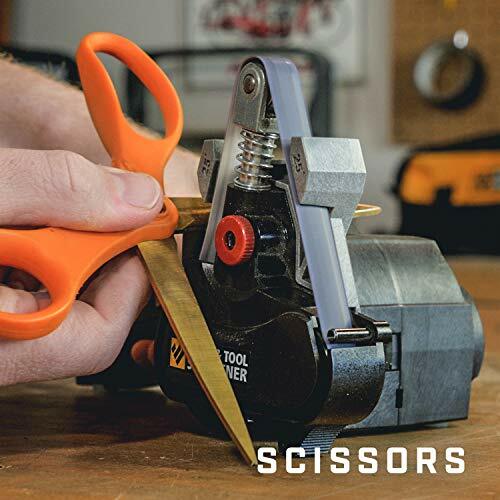 Comes with premium abrasive belts to meet all your sharpening needs: Coarse (P80), Medium (P220) and Fine (6000). Abrasive belts won't burn or damage blade steel during sharpening. Precision sharpening guides provide fast, easy, repeatable and consistent results. 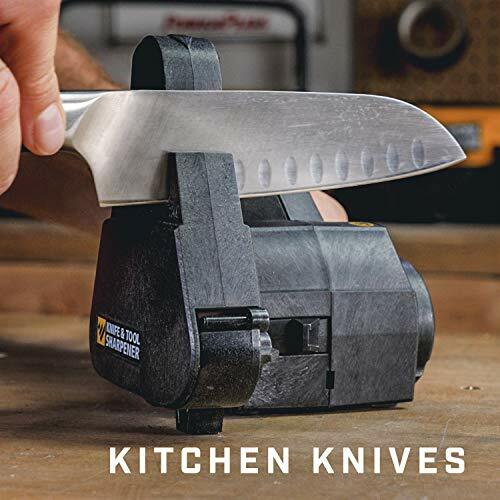 Kitchen Knife guide sharpens blades to a 40° angle - Outdoor Knife Guide sharpens to a 50° angle. 1-year warranty - warranty only valid for North American 110v power source applications. Use of power converters for 220V not recommended. Can be run with 12V power inverter (min. 150 watt) from car, truck, RV, boat, etc. Other Info: Replaceable abrasive grit belts. Won't burn or damage blade steel. 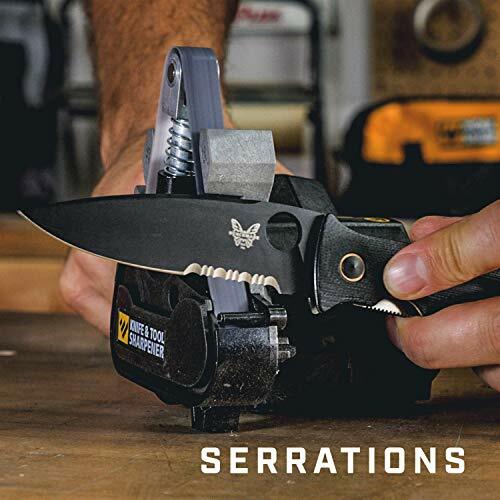 Precision sharpening guides for kitchen, pocket, hunting, and serrated knives. 6 foot power cord. Three belts (P80-coarse, P220-Medium, and 6000-Fine). Instructional guide and DVD. Boxed.